Getting ready to buy one of our used cars, trucks, or SUVs? Plan ahead by seeing how much you qualify for! Using our handy online credit application, you can get pre-approved for a car loan from the comfort of your home or office. All information is submitted securely, so you can feel confident your personal details are well-protected. Simply provide your contact information, as well as a few details about your income, any trade-in values, and how much you’re looking to borrow. It’s that easy! 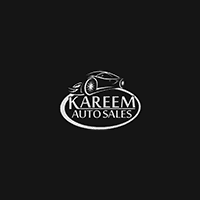 Kareem Auto Sales Inc Makes Car Buying Simple! We go above and beyond to make the car-buying process hassle-free for our Sacramento customers! If you have any questions about how to apply for financing, contact us or visit us near Elk Grove and Roseville. Be sure to take advantage of our other online tools, such as our car payment calculator and our trade-in value estimator. Also, don't forget to check out our helpful how-to guides, such as how to trade-in a car and how to choose a used car with good mileage.